The 199 rooms of the Terranova Hoteloffer the traveller an unbeatable place for relax and comfort where rest is guaranteed. 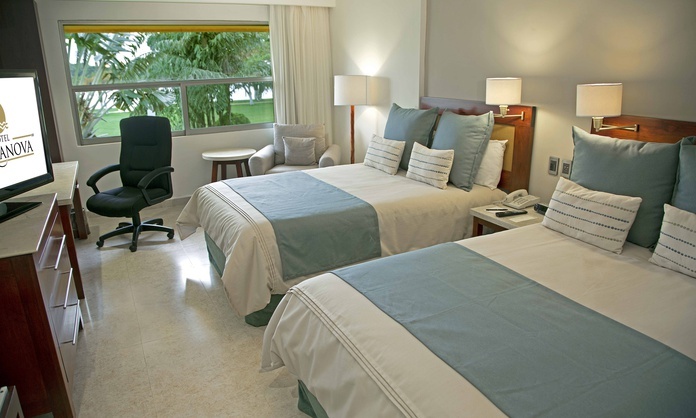 They are modern and urban spaces designed for executive travellers who visit Coatzacoalcos for business or for a family holiday in the city. 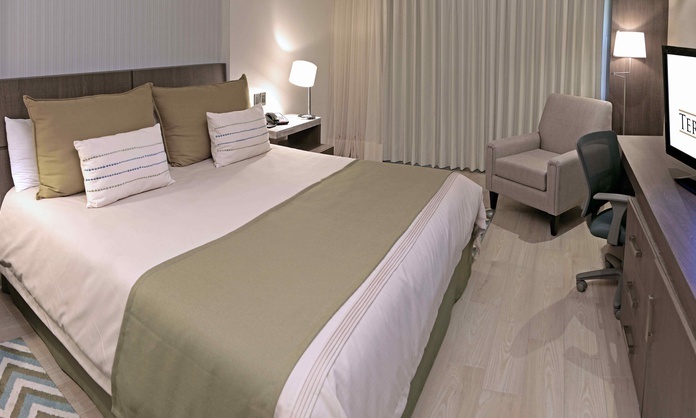 The double standard rooms of the Terranova Hotel combine design and comfort in an elegant and functional 28-square-metre area. 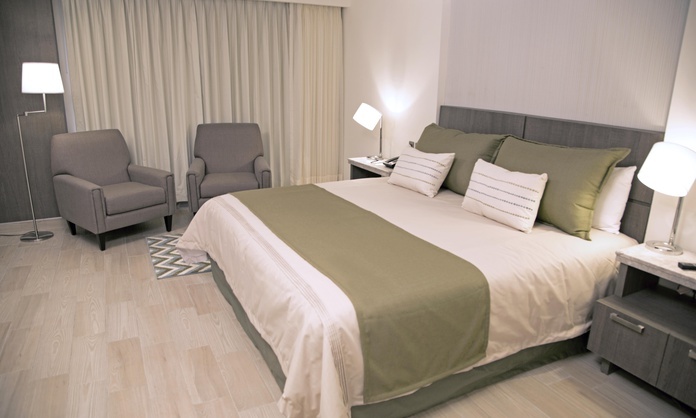 With 2 matrimonial beds, fully equipped bathroom, 2 telephones, free wifi, desk and executive chair, dressing room, TV, air conditioning, reading armchair and all type of details, these double rooms in Coatzacoalcos are recommended for all those business travellers who want to stay close to the main petrochemical centers of the city. 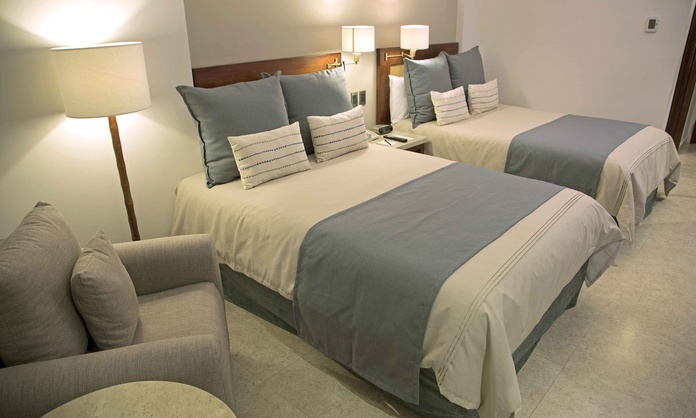 The King standard rooms of the Terranova Hotel have been designed with all type of details that offer 28 square meters of comfort, luxury and commodities to every guest. 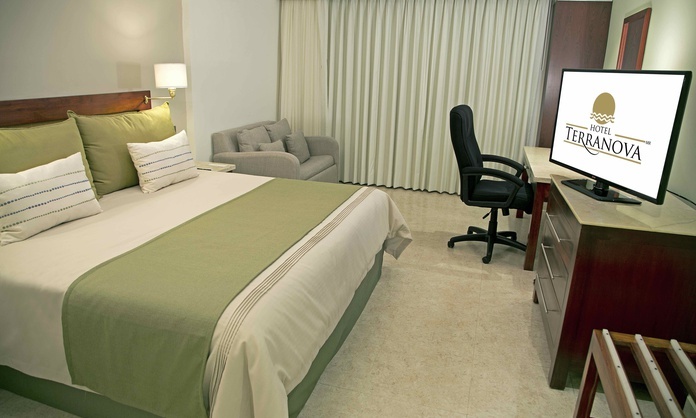 Located in Coatzacoalcos, really close to the main petrochemical centers of Coatzacoalcos, these rooms are perfect for resting after a long work day. 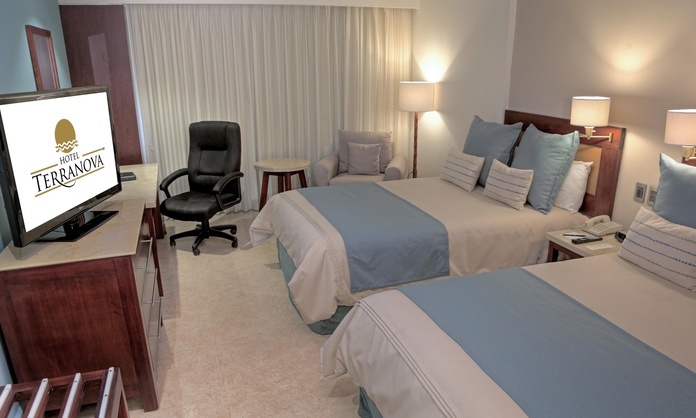 Besides, they offer you an affordable price without giving up the best services: King bed, desk and executive chair, fully equipped bathroom, air conditioning with individual climate control, 42’’ TV, 35 channels, dressing area, 2 telephones, reading chair and free wireless Internet connection. 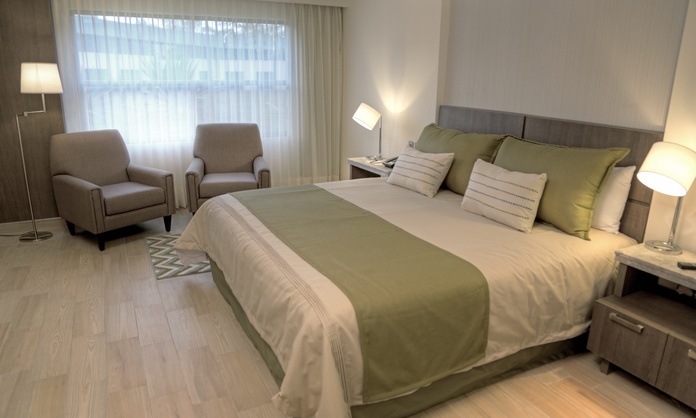 Book one of the King executive rooms of the Terranova Hotel and enjoy the maximum rest in a 28-square-metre space specially designed for business trips. 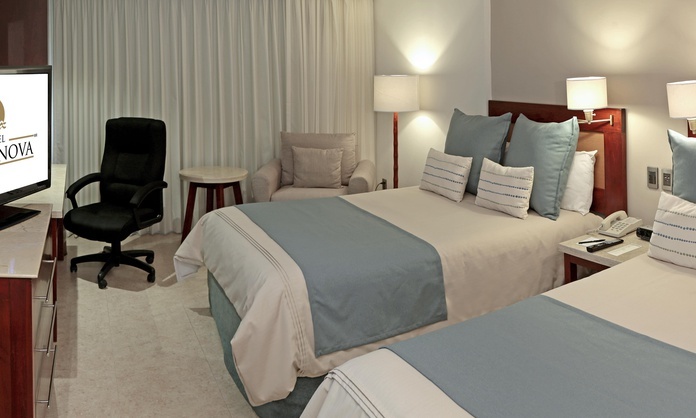 These functional, modern and fully equipped executive rooms in Coatzacoalcos are perfect for 1 or 2 people on a business trip. All of them feature King bed, fully equipped bathroom, business area with desk and table, reading armchair, 2 telephones, dressing room, free wifi… And access to the executive room of the hotel, an exclusive area where to work and enjoy free snacks. 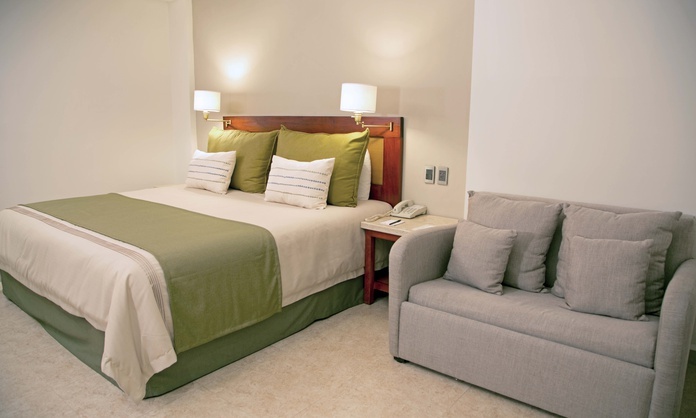 The spacious and functional King double executive rooms of the Terranova Hotel offer you 28 square meters of space that guarantee you all the comfort you need during a business trip. 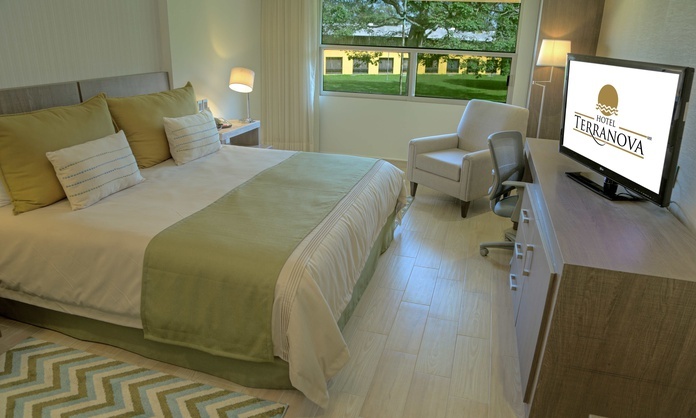 These executive rooms are the ideal option for those who visit the city for work. 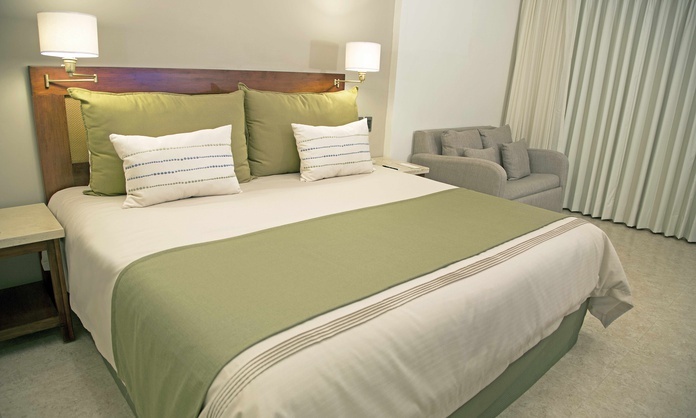 They feature 2 matrimonial beds, fully equipped bathroom, 42’’ TV with 35 channels, air conditioning, free wifi, desk and executive chair, 2 telephones, dressing room and access to the exclusive executive room of the hotel. 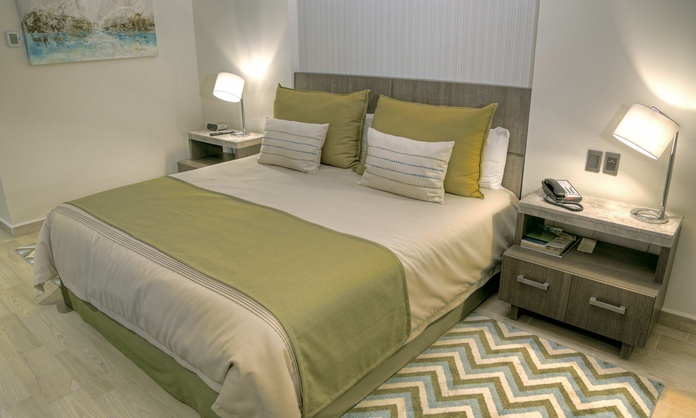 The junior suites of the Terranova Hotel are the perfect accommodation for a perfect stay during a family holiday or a business trip to Coazacoalcos. 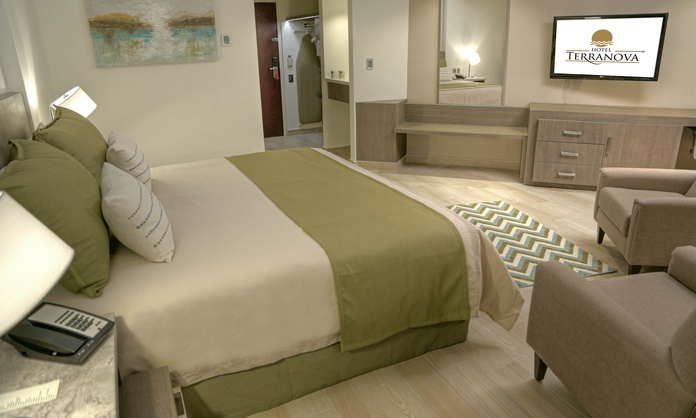 Designed according to the standards of accessible tourism, the rooms for disabled people of the Terranova Hotel are en example of integration and comfort in Coatzacoalcos. All the rooms for disabled people are perfectly equipped with 5 star services and they offer special attentions, like a fully accessible bathroom, adapted furniture, 2 matrimonial beds, 42’’ TV with 35 channels, reading armchair, dressing room, air conditioning… Everything in 28 square meters of modern, elegant space and with the maximum guaranties.